One of my best friends and partners is Janet Legere. She is clearly one of the best trainers in any Online Internet Marketing Course or online internet marketing training course. She has a school that’s called Contact List Builder. She has a 5 Steps to Success Blueprint that are the basis for the course. I highly recommend you taking the time to review what Janet has to offer. This isn’t your typical “You’re going to get stinking rich in 10 minutes” baloney that I don’t understand why people keep on believing. 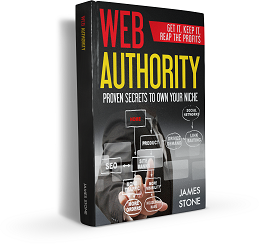 It’s a realistic look at what it really takes to make it in any online business. I teach a lot of classes myself and have been home since 1997. Janet has been home with her husband for almost as long. I am more of an engineer and programmer while Janet is pure internet marketing. Don’t take your lessons from someone who claims to be a full time work at home internet marketer, how about trusting someone who really is a full time stay at home, work from home, making a really good income, internet marketer? There really isn’t as many out there as they claim. Janet and her husband Don are people you can model yourself after. Watch what they do, then do it too. The Contact List Builder Online Marketing Course is just that. With the right help, making a full time income at home is definitely doable and it’s totally possible to become a full time stay at home internet marketer and make a really good income. The reason why it’s so hard for most people is all the crazy offers out there that maybe offer one tiny piece of the puzzle. You need all the pieces presented in a coherent business model. So, that’s my recommendation, and of course it wouldn’t hurt to come to my webinars as well.